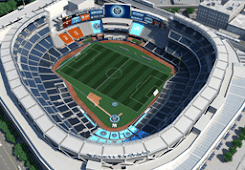 NYC is Blue: State of the Bronx: "I Can See a New Soccer Stadium"
State of the Bronx: "I Can See a New Soccer Stadium"
Last week, Bronx Borough President Ruben Diaz Jr. gave his 2014 "State of the Borough" address. 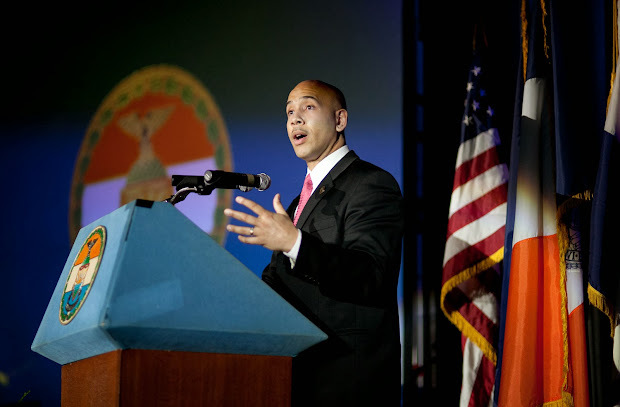 Like a State of the Union or a State of the State, it included a review of his accomplishments from last year and featured his goals for the upcoming year in the Bronx. The theme was the "New Bronx" and showcased what Diaz sees as the changing public perception of the borough both locally and internationally, and the public/private partnerships helping to drive that change. "With the right neighborhood engagement, and the appropriate community benefits agreement, I can even see a new soccer stadium a few blocks from here." That's a lot of caveats for one sentence, but it's encouraging to know that the Borough President remains interested in building an MLS stadium in his borough.